This is a rectangular Bay State Paints porcelain sign. This particular Bay State Paints sign is predominantly yellow with black and white text. 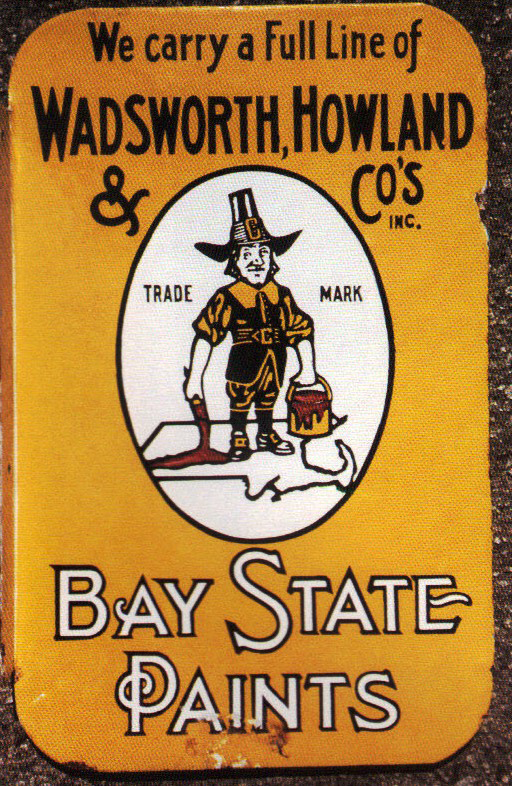 It reads, “We Carry a Full Line of Wadsworth, Howland, & Co.’s Inc. Trade Mark Bay State Paints” and features a pilgrim painting Massachusetts.